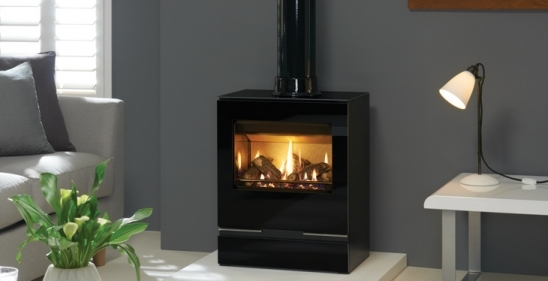 Bridging the gap between the existing Gazco Riva™ Vision Midi and Riva™ Vision Large models, the Riva™ Vision Medium gas stove still maintains the striking look of the contemporary Riva™ Vision range. Select from one of our contemporary Riva™ stove benches to further enhance your interior design possibilities. The Riva™ Vision Medium model is also available in our Stovax wood burning and multi-fuel gas stove range and for those wanting a smaller version of this model, the Riva™ Vision range also includes our compact Riva™ Vision Small gas stove – perfect for those cosy inglenooks!